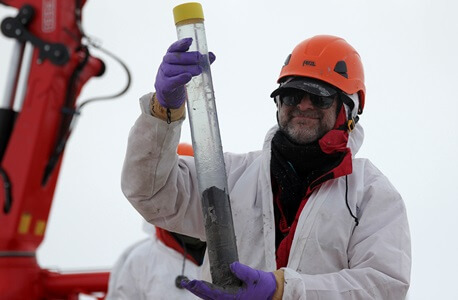 Using a specially designed hot-water drill to cleanly bore through a half mile of ice, a National Science Foundation (NSF)-funded team of researchers, led by NIU’s Ross Powell and including other faculty and students, has become the first ever to reach and investigate the “grounding zone” along the West Antarctic Ice Sheet, where ice, land and sea all converge. Grounding zones are key to regulating ice-sheet movement and sea-level rise. But the scientists also were surprised to find an apparently thriving ecosystem that includes fish in the extreme environment beneath the ice. Read the National Science Foundation press release on the discovery or view photos, background and news stories on the project.